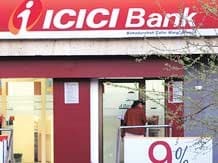 ICICI Bank has launched a voice recognition service, which can identify and authenticate a customer, based on his voice. This will spare the customer the task of remembering his account and personal details and passwords. This voice recognition technology works on voice prints that will comprise about 100 characteristics such as voice modulation, speed, accent, pronunciation, etc. These will be stored in the customer’s account and will be used to authenticate the details every time they call back. The bank said the voice recognition is secure, since these characteristics are specific to one person and, therefore, it will be difficult to emulate it. “We have noticed that customers, especially those who use smartphones, find it difficult to enter the 16-digit card number and the four-digit PIN with accuracy and at a reasonable speed. We wanted to offer them a secure and hands-free alternative to the traditional on-screen commands on smartphones. The voice recognition service has the potential to increase security and convenience,” said Chanda Kochhar, managing director and chief executive officer, ICICI Bank. The lender said 33 million of its bank and credit card customers would be able to use the service. It has become the first lender to launch such a service. The bank had earlier launched other innovative services that include new applications for mobile banking, fully automated and ‘touch banking’ branches, tab banking, banking on Twitter, contactless debit and credit cards, and ‘Pockets’ — a digital bank on the mobile phone.